Traditions with a Twist: Tucked into the dining destination of H Queen’s on Queen’s Road Central, Ding’s Club is a chic spot for delicious Chinese dishes done with a twist, and fresh, seasonal ingredients. Look & Feel: Think traditional Chinese courtyard homes rendered with a luxe twist. Wood accents and velvet coverings are balanced with classy Chinese-inspired motifs. A modern color palette of white, grey and brown are enlivened with artsy pops of color and dramatic lighting. 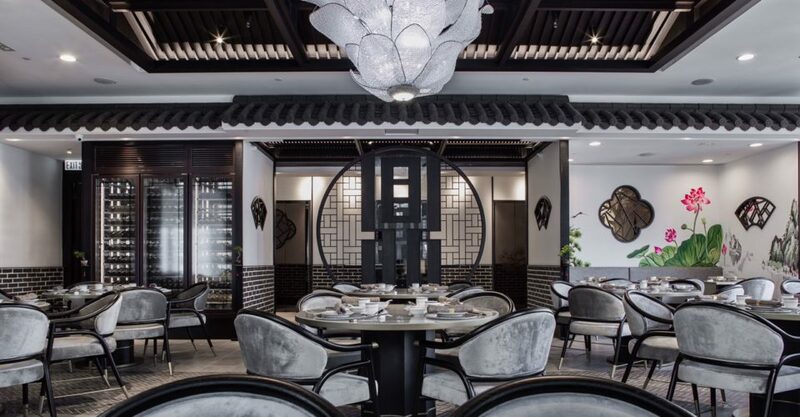 On the Menu: The a la carte menu is ably seconded by lunch ($398/$498/$598) and dinner sets ($688/$988), all focusing on quality Cantonese dishes made with traditional recipes and modern sensibilities. 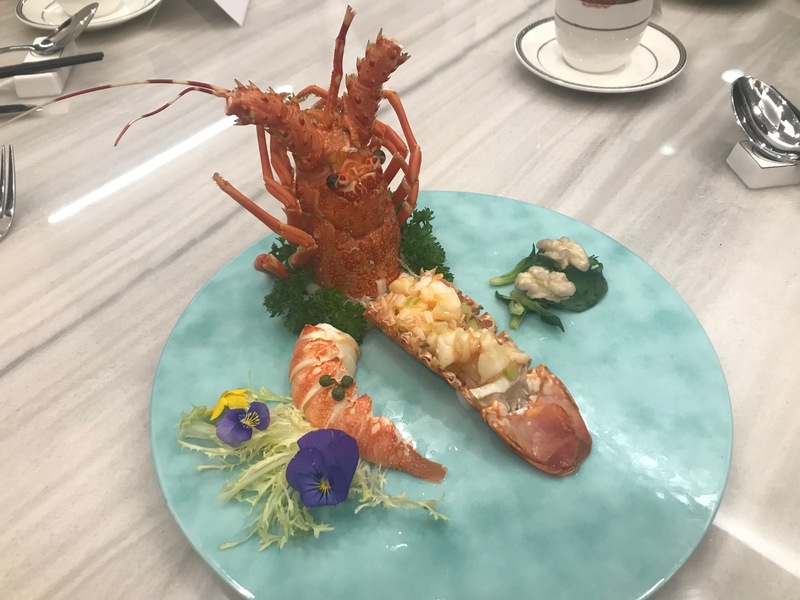 Lobster two ways with Sichuan spicy sour sauce and Thai sweet sauce served with Ficoïde Glaciale is a dramatically plated standout dish, but other signature dishes include wok-fried Australian crab with foie gras paste and sweet potato soup with ginger. The classic Cantonese dish of sweet and sour pork is given a unique twister here with dragonfruit and pineapple, and is a delightfully flavorful surprise. Meet the Chef: Chef Steve Lee Ka Ding is known for serious Cantonese fine-dining at his first restaurant, Ding’s Kitchen. Jeng: The food elevates Cantonese fare to a fine art, and while the space is classy, it’s also cozy and casual. Not So Jeng: Service is attentive, but perhaps a little overly so – does your teacup really need to be refilled after every sip? Great For: Family meals and big groups of friends. FYI: There’s a private room in the back for more intimate occasions.